The primary function of shampoo remains that of cleansing the hair of accumulated sebum, scalp debris and the residues of hair grooming preparations. The cleansing should be selective and should preserve the quantity of the natural oil that coats the hair, and above all, the scalp. The process of shampooing is a cleansing, purifying activity, designed to free the scalp from daily accumulation and maturation of grade, dirt, perspiration, cooking smells, dandruff, environmental pollution, and so on. The basic definition of a shampoo is as a suitable detergent for washing the hair, while leaving that hair easy to manage with a healthy appearance. The article below provides an overview into the basic formulating requirements for making shampoo products. With the AustraLab program, you don’t need to understand the chemistry of making hair care – I’ve done all the hard work for you. The formulations have already been tested for efficacy and ease of manufacturing. The variability of hair type substrates made the initial development of adopting detergent systems for use with hair, to be somewhat challenging. This substrate to be cleaned includes the relatively hard but porous keratin of the hair. The soft keratin of the hair is sensitive to drying and defatting. While there exists very large individual variation in fibre number and diameter, the average surface area of a female head of hair is calculated to to be between 4 and 8 m² – that is, 50 to 100 times the average scalp area. The kind of soil to be removed, either natural or captured, varies greatly according to the weather, lifestyle, the type of work, the physiological functions, hair care practice and so on. The problem of cleaning hair is particularly one of grease removal although shampoo removes more soil than oil. Hair picks up dirt without the help of greasy layers, as it represents a hard surface. As long as the grease can be removed, it is quite easy to remove the dirt. To remove grease from the hair, one must find some agent with a greater affinity for the grease. This function can be accomplished by absorbent solids such as powders, but solutions of surface-active agents are much more convenient and more commonly employed. The mechanism of detergent action involves a number of complex physical phenomena – wetting, foaming, emulsifying and peptisation – several of which are imperfectly understood. The detergent solution must be able to wet both the dirt and the substrate, hence it must lower the surface tension. The dirt or oil particles are displaced by the detergent solution due to reduction of interfacial tension. The dirt particles to be kept dispersed in order that they may be readily washed away. The most important property in hair washing is the ability of polar groups of the detergent to displace oil from the surface. The screening test for evaluation of detergents and shampoo bases is the measurement of surface tension and interfacial tension. The trial on the head must be conducted for detergent selection because the after-effects of the shampoo may often be the deciding factor. With the wide range of materials available, it is a relatively easy task to find materials that will adequately clean hair and allow for adequate lather. The final criterion which then applies in the selection of the cleaning agent is its effect on the hair. These affects are best observed in comparative tests on the same head, as hair diameter, quantity, greasiness and previous treatments may all affect the results. Originally, shampoos were made from soap or soap mixtures. But today’s shampoos are made from natural and/or synthetic detergents. Surfactants, foam boosters and stabilizers, conditioning agents, special additives, preservatives, sequestering agents, viscosity modifiers, opacifying or clarifying agents, fragrances and color. Non-ionic detergent does not have sufficient foaming properties, hence it cannot be used in shampoos. Cationic detergents are ideal due to their foaming and cleaning power. Anionic and ampholytics are suitable due to low-cost, foaming, and conditioning properties. From the list of anionic surfactants, those used in shampoo include alfa olefin sulfonates, alkyl sulphates, alkyl polyethylene glycol sulfate. 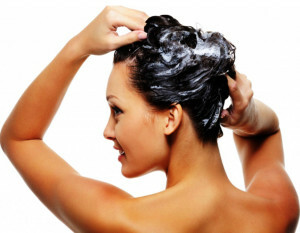 Sulphoccintates and acyl lactylates are also used in shampoos. Among the non-nonionic surfactants, fatty acid alkanolamides, polyalkoxylated derivatives are used. N-alkylamino acids and betaines are amphoteric surfactants used in shampoos. Conditioning agents are included in shampoos to improve manageability, feeling and luster of the hair. The materials which had been claimed to have conditioning effect on hair include fatty materials like lanolin, mineral oil; natural products like polypeptides, egg derivatives, herbal extracts; and synthetic products like specifically designed surfactants and resins. 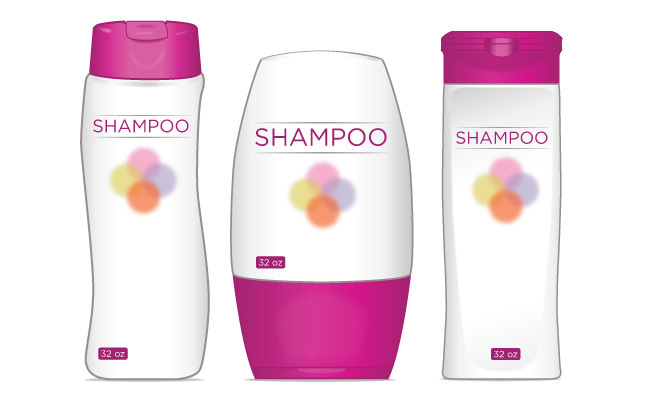 Thickening of shampoo can be achieved by a number of compounds. Compounds which can be used to modify viscosity of shampoos include: electrolytes, natural gums, cellulose derivatives and carboxyvinyl polymers, and others. The list includes: ammonium chloride, sodium chloride, gum karaya, gum tragacanth, alginates, hydroxycellulose, hydroxy propyl cellulose, carboxymethyl cellulose, phosphate ester, polyvinyl alcohols akanolamides. A number of materials can be used for opacifying or giving a pearlescent effect to shampoos. Non-ionic solubilisers, alcohols, and phosphates improve transparency. The opacifying agents are: Alkanolamides or higher fatty acids, glycol mono – and di-stearates, propylene glycol – and glycol-monostearates and palmitates, fatty alcohols (cetyl, stearyl). Most milky emulsions of vinyl polymers and latexes; magnesium, calcium or zinc salt of stearic acid, finely dispersed oxide or titanium dioxide, and magnesium aluminium silicate. The clarifying agents are: ethanol isopropanol; propylene glycol, hexylene; glycol, dimethyl-octyne diol phosphate: polyethoxylated alcohols and esters. These materials are used to process prevent deposition of calcium and magnesium salts of soaps onto the hair. Polyphosphates are among the most commonly used sequestering agents in shampoos. Bacterial growth in shampoos can lead to breakdown of detergents in shampoos resulting in discoloration of the product. The surfactants in shampoos interfere with bactericidal activity of antibacterials. This fact should be considered while selecting preservatives. Therefore, higher concentrations of preservatives are necessary in shampoos. The fragrances selected must be soluble and compatible with the shampoo. This means that, viscosity and stability should remain unaffected. Herbal, fruity or floral fragrances can be used in shampoos. Clear liquid shampoos can be prepared with detergents having lower cloud point. These can also be made with detergents and alkalonamides. Concentrated clear liquid shampoo can be prepared with more soluble monoethanolamine lauryl sulfate. These shampoos may be used by hairdressers by diluting at the time of use. The composition of such shampoo is monoethanolamine laurel sulphate (70%), coconut diethanol amide (2%), colour, perfume, and preservative in small quantity. These can be prepared by adding an opacifier like ethylene glycol monostearate or ethylene glycol distearate to clear liquid shampoos. These, however, have a tendency to redissolve in shampoo in hot weather. Insoluble magnesium stearate can be added to overcome this problem. Professional hairdressers demand cream shampoos. Generally, these constitute sodium alkyl sulfates (38%) which give products of firm consistency. Cetyl alcohol (7%) can be added as a builder. An alkalonamide such as coconut diethanolamide, lauric isopropanolamide can be added in concentration of 1 to 2% as a foam stabiliser. The disadvantage is that a mass of crystals present in shampoo may dissolve in hot water, making the product runny and translucent. On cooling, recrystallization takes place and crystals formed may be large, appearing as lumps or fibrous mass. Gel shampoos are often formulated with detergent alone or in combination with soap. By varying the proportions of triethanolamine coconut soap, triethanolamine laurel sulphate and sodium lauryl sulphate, different textures can be prepared. Gel shampoos can also be prepared by thickening the conventional clear liquid shampoos with hydroxy-alkyl or methylcellulose ethers or alkanolamides. Appropriate combinations of anionic and amphoteric surfactants can also produce gels. Powder shampoos are prepared with soap powder and dilutents like sodium carbonate, sodium bicarbonate, disodium phosphate or borax, or their combination. Such formulations are also available with herbal ingredients which are intended to give a slight coloring effect to the hair. 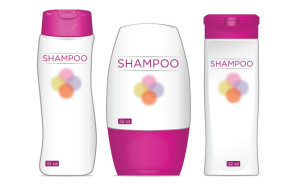 Shampoos available in aerosol packaging are called aerosol shampoos. 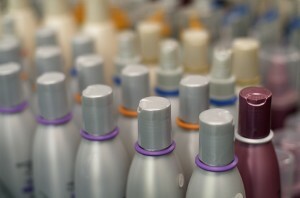 Shampoos for aerosol packing are required to be specially formulated. When sprayed, the foam should be manageable and should have enough staying power. Aerosol shampoos are applied by spraying on the palm of the hand. Then it is thoroughly rubbed into the hair which has been wetted in advance. They constitute shampoo base 90% and propellants 10%. Shampoo base may be prepared by mixing: ammonium/triethanolamine lauryl sulfate 60%; coconut diethanolamine 2%; and water, perfume, color and preservatives. 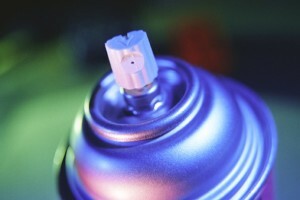 More recently, dry shampoo in aerosol form has returned to popularity. Shampoos formulated for a specific purpose are dandruff shampoos, and shampoos for conditioning effect. These two are, by far the most important groups of shampoos which are marketed for their special effects. As a result of cell division in deeper layers of epidermis, some cells are always being pushed up towards the surface of the skin. The cells farthest from the dermis are keratinised and subsequently shed. This is true of the scalp also. A process of keratinisation and shedding increases to an abnormal rate due to any reason in case normal function does not synchronize. Such a condition causes dandruff. In another condition, there is abnormal secretion of sebum from sebaceous glands. The former condition is known as seborrhoea sicca and the latter as seborrhoea oleos. These abnormal conditions of scalp are generally associated with an increase in the growth of bacteria and fungi. This may lead to skin disease like acne and psoriasis. The above-mentioned conditions should, therefore, be treated. 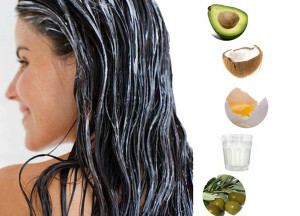 One of the approaches is, preparation of medicated shampoos for dandruff. It should clean by the hair and scalp and should leave the hair manageable. It should not irritate sebaceous glands, and contain anti-microbials to prevent growth of increased incidence of microbes. The active ingredients should not sensitize the scalp. Typical components of shampoos used for the treatment of dandruff include: Thymol, pyrithione zinc, resorcinol, selenium sulfide, prepared coal tar, quaternary ammonium compounds, when used as shampoo base,. Use of thymol, camphor and menthol has also been exemplified. Thymol, menthol and camphor are incorporated in the formulation. Cationic surfactants with higher molecular weight possess lower degree of bacterial action. While selecting these compounds ensure that defatting of scalp and irritation do not occur for long-term use. Of these, quaternary ammonium compounds are of interest. Centrimide, a mixture of dodecyl, tetradecyl, and hexadecyl-trimethyl ammonium bromides is non-irritant and non-toxic in dilutions which are generally used. Other quaternary ammonium compounds are benzalkonium chloride and stearyl dimethyl benzyl ammonium chloride. Though stearyl benzyl ammonium chloride is less bacteriostatic than centrimide or benzalkonium chloride, but its use improves the appearance of hair. Centrimide is soluble in 2 parts of water but alcohol is used so the clarity is maintained during storage. In shampoos based on centrimide diethylphthalate is also added to increase the viscosity. The two terms “conditioning shampoos” and “shampoo conditioners” appear to mean the same thing. Their applications are the same. The prime function of a conditioning shampoo is cleaning. It also improves manageability, feel and appearance of hair. Whereas, conditioners untangle wet hair and improve manageability of both wet and dry hair. Quaternary ammonium compounds have conditioning properties. Conditioning properties in quaternary ammonium compounds are imparted by the relatively large complex action which is substantive to protein. The static charge is removed due to absorption of quaternary ammonium compounds onto the hair fibre. This reduces friction between individual hair strands. Thus hair becomes more manageable. Satisfactory products can be prepared using stearyl dimethyl benzyl ammonium chloride.